Sixteen-year-old Keturah tells vibrant stories of her own imagining to the folk of her small village. Her talent for painting beautiful pictures with words is impressive indeed, but will it be enough to save her life when she becomes lost in the deep, dark forest? What a special little audiobook. 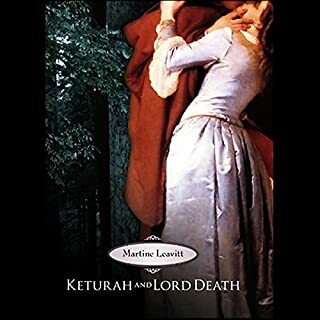 This book is told in a fairy tale fashion that reminds me of some of my favorite Juliet Marillier and Robin McKinley books. So many of the sentences resonate so deep and so true. 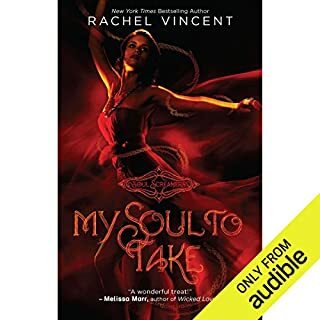 This is not pop-ish or immature and I can't agree less with the reviews that compare this book to pop-paranormal-romance books. Honestly it reminded me more of The Alchemist than a "ya romance" (not that I have anything against ya romance;); while the main focus of the book is "love" I think the pursuit and ultimate choice runs much deeper than that---but the interpretation is in the heart of the reader. The only complaint I had was it's length, while it was perfectly complete I wish I had more to listen to. I guess that this will just have to go into my to-be-re-listened-to asap pile. um, does this cyborg foot fit you? 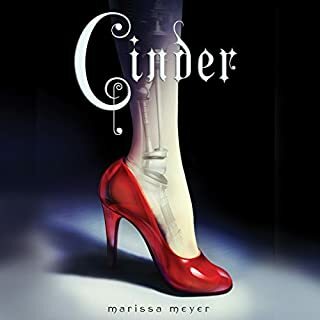 This book was sweet and even though it followed a basic over-told and over-rewritten story, it had a true spark of originality. Cinderella story aside it was still utterly predictable. But i shed a couple tears, laughed out loud and all in all had great fun reading this book. Darynda, where did it go wrong? Would you try another book from Darynda Jones and/or Lorelei King? Ok, here's the thing.... LOVE the Darynda/Lorelei combo! They created Chalie, and I love Charlie. This book... well, If you loved this book you will (crazy) love the Charlie Davidson series. If you don't like this book, you might still cray love the Charlie Davidson series. The plot line and love story is a bit... Disjointed. Yet...the book is enjoyable and very funny. 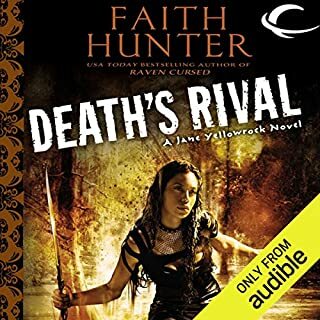 What other book might you compare Death's Rival to and why? Well, the obvious in Mercy Thompson (by Briggs) (skin walker, mixed hertitage native american, Vampire killer etc. ), There is also some aspects of Jane's personality that remind me on Anita Blake (Hamilton)... and maybe a little bit of Elena Michaels (Armstrong) in ther too. I think I finally made my peace with the "beast" sections-- I don't really enjoy this POV, but it's growing on me. The romance in these books has never really do it for me... but the plot of this installment made up from any weak points in the lovie-dovies. 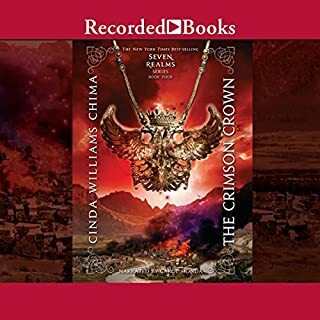 What did you love best about The Crimson Crown? ohhhh, best book so far this year. I'm feeling the afterglow of this book. Considering if I should re-listen from book one again right away... Or wait... So good!!! This series ranks close to the top in my best series ever list. The series is perfect for fans of series like Song of Ice and Fire (with the understanding that it is a YA series). It is a series full political drama, messy misunderstandings, robust characters you love and others you love to hate. She won't rest until she's sent every walking corpse back to its grave. Forever. Had anyone told Alice Bell that her entire life would change course between one heartbeat and the next, she would have laughed. From blissful to tragic, innocent to ruined? Please. But that's all it took. One heartbeat. A blink, a breath, a second, and everything she knew and loved was gone. Her father was right. The monsters are real. 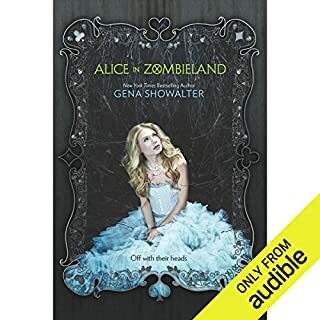 What other book might you compare Alice in Zombieland to and why? 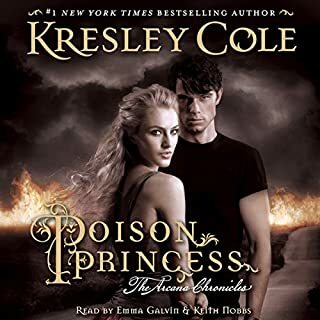 Poison Princess By Kresley Cole (One Of My 2012 Favorites). Because they're both YA PNR novels written by accomplished adult UF writters. I love Ali's grandparent's interrogations. Not really what I expected, but maybe that's a good thing. To me, zombie equals apocalypse... And... I was thinking this would be a little closer to the books namesake, AIW, but this book is not a retelling. This book was closer to Buffy the V slayer with cannibal ghosts. I LOVED Ali's grandparents!!! They made this book for me. YES!!! It is fan-tabu-lous. I first read the e-book, then imediately bought the audiobook...which was even better. What other book might you compare Poison Princess to and why? This is an apocalyptic book -- not to be confused with post-apocalyptic/dystopian--it had that, but it was so much more too. Perhaps... "Alice in Zombieland" and "Death and the Girl next door", just in the fact that they are all crossover books from fantastic adult fantasy writters, but neither were as good. I feel like I'm in See's Candy and I only have 50 cents... Do I have to pick? A--freaking--mazing. 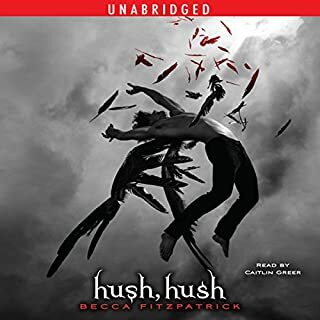 Two nights of staying up well past midnight falling asleep with kindle in hand, then I immediately bought this audiobook version and started over again. Refreshingly original. Great story. Perfect ending. Warning: the only thing YA about his book is the characters ages. It's gore-ific. 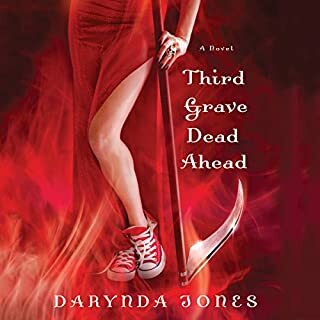 If you could sum up Third Grave Dead Ahead in three words, what would they be? Yet anotherwonderful installment to this fantastic series. Can't wait for the forth. This book is decent, nothing mind-blowing or even noteworthy. The narrator constantly tells what the other characters are thinking, which bugs me because she's not supposed to be telepathic. Also I find it rather predictable. But, the production is good and the story is, as I said, decent.